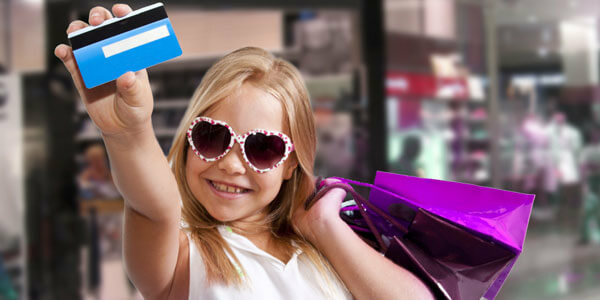 Are you sure you aren’t teaching bad financial habits to your kids? In a study named “New Rules for Engagement”, conducted by the Bank of New York in 2014, it was found that 52% of millennials have ranked their parents as their most trusted source of financial advice. And, only 10% have stated that they have trusted their peers for money advice. This study shows how much parents can influence the financial management skills of their children. So, as a parent, you need to be aware that you’re teaching good financial habits to your children. Check out whether or not you are making these 6 mistakes while teaching financial habits to your children. If you are making mistakes, then know what you need to do to rectify your habits and teach good financial habits to your kids. Do you almost regularly purchase beer, or you drink or smoke too much? Or, do you have the habit of buying a cup of coffee every day? If yes, then think a bit, your children are also learning the same. What you should do: As per a research in 2012, from Accounting Principals - a finance and staffing firm headquartered in Jacksonville, Florida, 50% of the workers spend about $1000 in a year on coffee. If you’re looking at this statistics with disbelief, then calculate yourself how much you spend in a month to buy a cup of coffee from Starbucks or other food joints. So, try to stop these habits to benefit your kids’ future. However, there’s no harm in visiting your local or your favorite coffeehouse once a while or drinking when you have a party at home. When your child wants something at a store, you deny twice or thrice, and then buy that item to calm him/her down, even if you can’t really afford it. What you should do: This will teach your child that he/she will get things even if it is difficult for you to accommodate it into your budget. However, you can buy certain items. For example, if you need to purchase some essential school supplies, even when you’re struggling to meet daily necessities, you should buy them. It will teach your child the value of education and it’s worth to buy the required things even when your money is a bit tight. Often parents hide their financial situation, especially when facing financial hardship, from their children. What you should do: Children between 8 and 17 pay close attention to regular household money issues. Financial experts say that parents should be transparent with their kids regarding money matters. They should involve kids while planning a budget so that the children get to know what to do and how to curtail expenses during a financial hardship. Along with this, if they get to know the reasons that led to the hardship, then they’ll be aware to not repeat them in their lives. You may buy expensive items for your child so that he/she is not looked down upon and he/she is able to keep up with the friends. However, by doing so, you’re teaching that financial competition is a healthy thing. What you should do: Though buying expensive gifts occasionally isn’t a very bad thing, yet you shouldn’t make it a regular habit. Instead, teach your children that lasting relationships are built on respect for each other and financial status is not the ultimate thing to determine that. Your children should learn how to manage their finances well and be happy with what they have. Do you fill your shopping cart without giving a thought twice? If you shop without a shopping list, then you’ll teach your kids lack of organization skills. What you should do: In a study called “The Checkout”, carried out by the Integer Group in 2012, it was found that even if people make a shopping list, 9 out of 10 consumers tend to purchase items which aren’t there in the list. So, just think the shopping style of consumers who don’t have any list. Therefore, every time you go for shopping, be it grocery shopping or shopping for garments, try to make a list and follow it. Remember, your children always closely observe you when you’re at the checkout counter of a grocery or a department store. They can easily understand that you’re an impulsive shopper and they might also pick up this habit. You may think that money is not a thing to discuss with your kids. But, by doing so, your kids are getting an idea that money is an easy thing to make. What you should do: To teach your children the value of money, you should involve them while planning your monthly budget. You should also explain the importance of planning a suitable budget and following it. Studies have revealed that most people spend relatively more time in planning their vacation than planning for their retirement. Doing so, your children also spend more time in telling you what they want instead of spending time in looking for and thinking about the opportunities to earn.